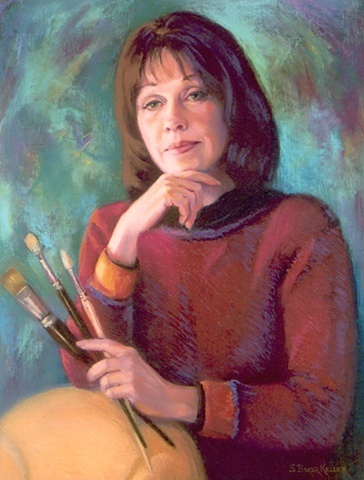 Sally Baker Keller - Portraiture - "Self-Portrait"
During the course of my artistic journey, my path has led me through a continuing evolution of concept and process. I truly believe that the essence of an artist is not defined as a state of being, but as a work in progress. Exposure to new ideas and methods is essential to continued artistic growth. Stretching my boundaries and experimenting with my materials and procedures always stimulates my creative energies. It motivates me to continue exploring the exciting and limitless possibilities in my chosen field of Fine Art. Please click "Next" to read about my background and experience.